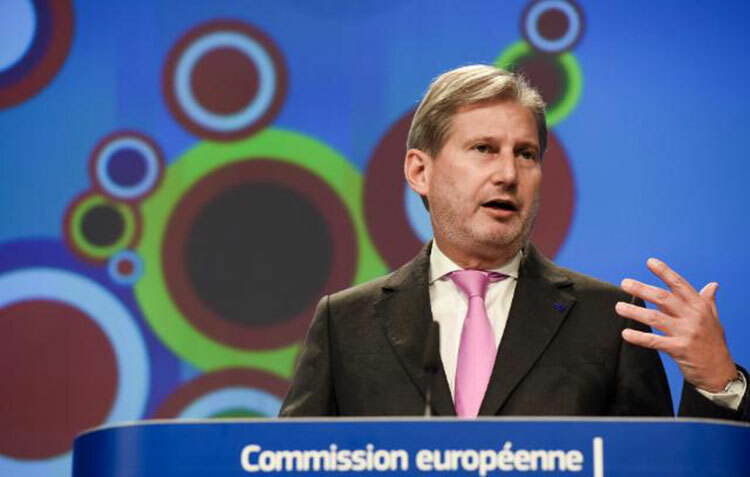 Today the European Commission adopted its 2016 report on Serbia. This is a good opportunity to take stock of the achievements and of the issues that still need to be tackled on Serbia’s path to EU accession. I am very pleased to note the country’s sustained progress on its road towards the European Union. This has led to the opening of the first four negotiating chapters, including the crucial chapters covering the rule of law and the normalisation of Serbia’s relations with Kosovo. This has confirmed that Serbia’s strategic goal of joining the EU is a concrete and rewarding perspective. It also shows that the EU delivers on its commitments and gives credit where credit is due. I commend the government for its efforts in modernising the country’s public administration and for supporting the economy with ambitious reforms. We see better-than-expected growth rates and new investors attracted by an improving business environment. This now needs to be underpinned by rule of law reforms and, equally importantly, the creation of new jobs with the prospect of better salaries. The EU is also Serbia’s top partner in terms of trade, investment, and beneficial loans. And we invest in Serbia’s youth, by giving them opportunity to study and train abroad – because today’s young generation will shape the Europe of tomorrow. Serbia has also played a constructive role in the region, contributing to stability and peace and will certainly continue to play this key role in the future. Those principles are at the core of the construction of the European Union, turning former adversaries into partners and allies. It is therefore also important that Serbia and Kosovo remain committed to the normalisation of their relations. Likewise the EU stands by Serbia in dealing with the influx of migrants and refugees. I would like to take this opportunity to thank Serbia for its very constructive role in dealing with the migration crisis. Despite the remarkable progress mentioned, sustainable implementation of ambitious reforms is crucial, in particular in the areas of judiciary, handling of war crimes, fight against corruption, freedom of expression, public administration. This will take time and will not always be easy – but the EU will support Serbia throughout the process. We are already by far the largest provider of assistance to Serbia and we will continue to stand by Serbia also in difficult times. I still have very strong memories from the dramatic floods and the EU support provided to the affected areas. This shows: as friends, we stand together in difficult times. And we have a common vision: Serbia as a member of the EU family.